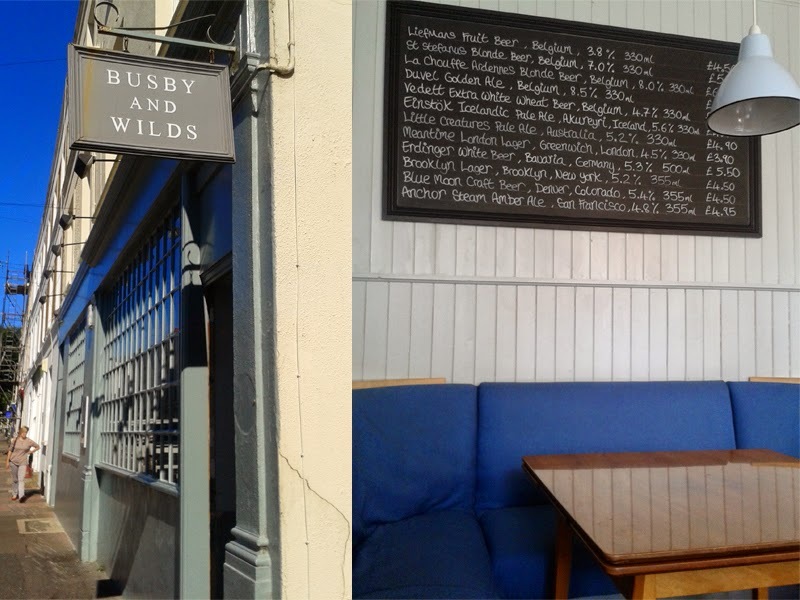 Busby & Wilds has settled in nicely into their little corner of East Brighton/Kemptown. Admittedly, house prices have rocketed and we now have places like this and Marmalade in place of rundown plumbing shops and "fear for your life" pubs. It's a fantastic and diverse place to live really and even if you don't live in the direct area, both of these places are truly visit worthy. The exterior of Busby & Wilds is inviting and it's safe to say I am also a big fan of the interior. I'm slowly turning my own home into shades of grey (not fifty) so really feel at home in the stripped back, calm, earthy and stylish rooms. They are about a hundred thousand percent better than the ugly duckling that was previously there as The Swan, whose electro purple and pink walls made it unbearable in the day and like some ghastly retro fish tank in the evening. I gave that a very wide berth. This is now, obviously, far more suitable for all day use than The Swan but still special enough to drop in for a smart dinner in the evening. 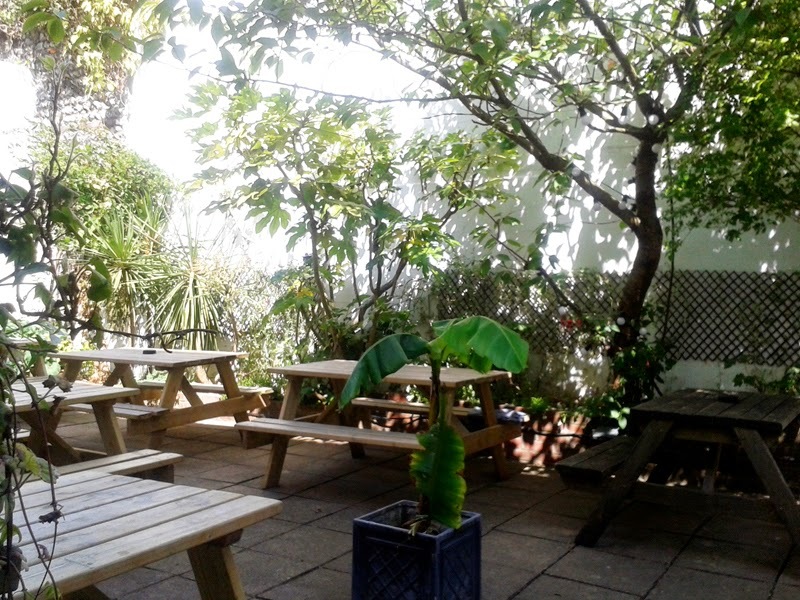 You will also find probably the best pub garden in the area, which is a decent size and nicely maintained. And thankfully, the attention to detail makes its way onto the menu too. I suppose you could call it "elevated pub food"; rabbit & bacon rillettes, pork belly croquettes, pan fried gnocchi, mussels with Aspalls cider and the obligatory burger of course. There are interesting touches for the side salads and dressings that go beyond the norm. 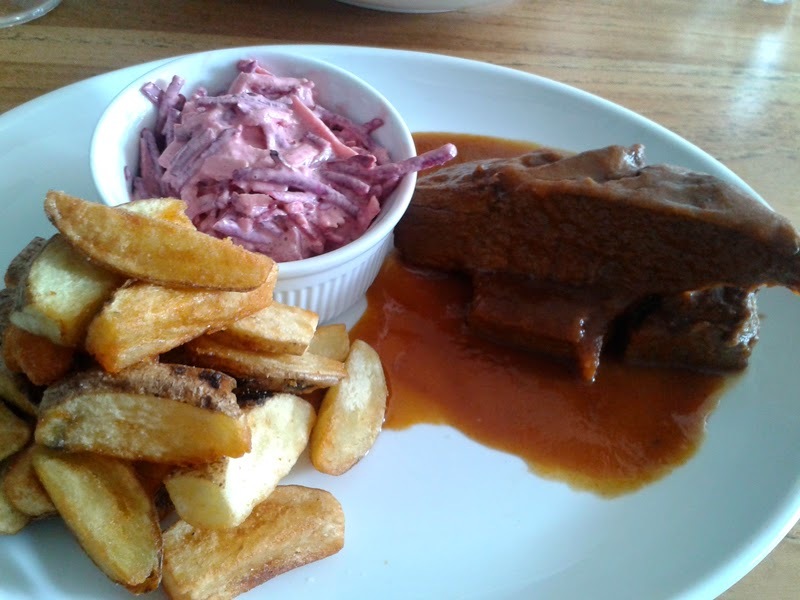 With the onset of this cold weather the slow braised BBQ beef brisket seemed like a mighty fine idea. The hearty portion of meat was well cooked, fragmenting at the fork and the thin BBQ liquor was tasty. Sadly the polenta chips were off (I love them) so just had standard ones along with a freshly made crunchy apple & beetroot slaw. A really comforting dish, hugely enjoyable and not bad at all for £13.95. 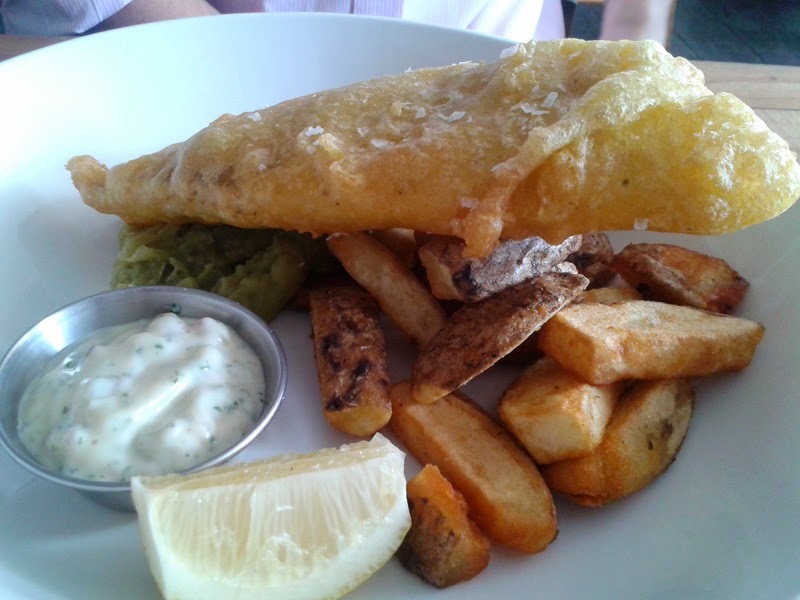 Mr GF chose the fish & chips and enjoyed them. I thought the frying oil could have been a little hotter. Luckily the batter wasn't too oily, but just a few minutes would have made the fry perfect. It came served classically with mushy peas and tartar sauce, again well priced at £10.95. 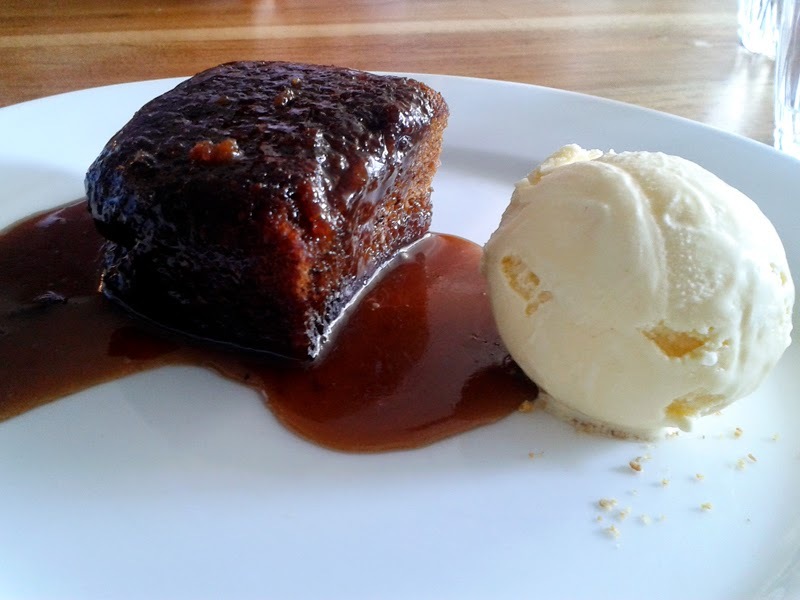 We love a sticky toffee pudding so shared one. I like the simplicity of the one here, just a dollop of ice cream and a really gooey but light sponge. Nothing reinvented or clever, just very good. Staff are friendly and a real asset here. Produce is well sourced and there is a great drinks list, with particularly well selected (I'm trying not to say "craft") beers. The place is also really family friendly too, not surprising as this is a family run operation. 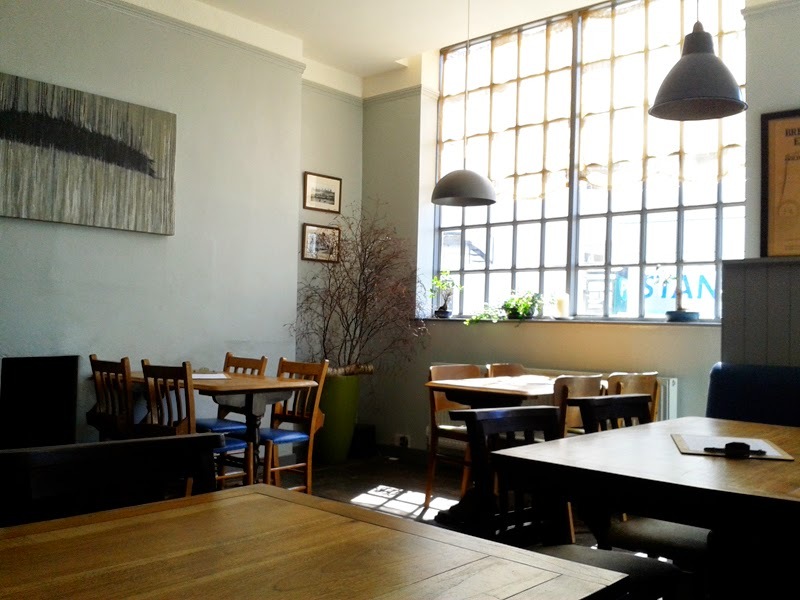 If you are in the area, drop in for lunch or dinner and there is also a very nice Sunday roast menu too. TRIVIA: Busby & Wilds is named after the architects who were involved in the Regency Kemp Town development nearby as well as some other key Brighton architecture.